Bryan Bergdale’s boss wanted to buy a bunny that could win largest rabbit at the Iowa State Fair. “After repeated emails, and prompting, I was like fine, I guess you’re serious about this,” Bergdale said. So like any good employee would, Bergdale tracked down the biggest bunny he could find. “(I) came across Darius, the world’s largest rabbit,” he explained. Owner Annette Edwards, in the UK, offered to sell Darius’s son, Simon. So Bergdale’s boss in Des Moines wired £415 to Edwards… and an additional ¤1,400 for Simon’s safe transport. That’s more than $2,300. 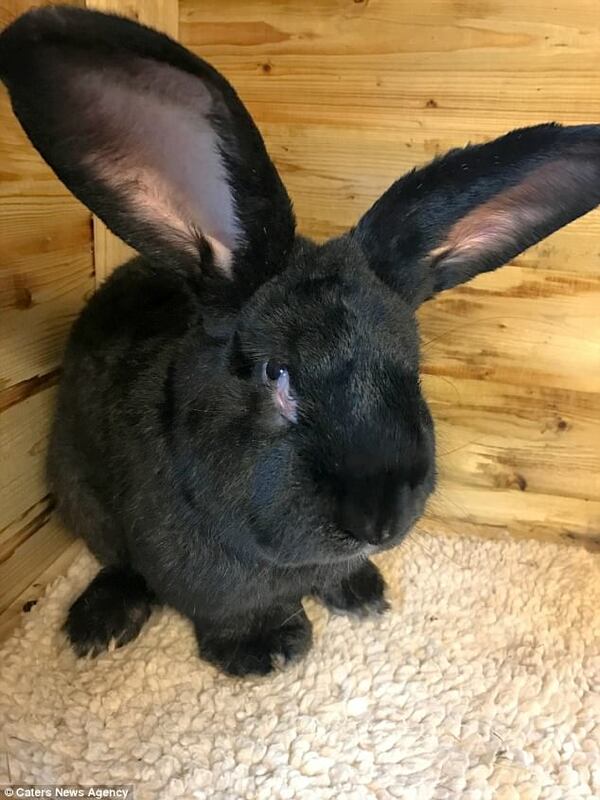 And while Simon, a 3-foot-long Continental Giant Rabbit, hopped across the pond last week, Bergdale drove to Kansas City for pick up. Simon had made it safely to O’hare. In fact, United spokesman Charles Hobart says the rabbit appeared fine as he left the plane and as he arrived at the PetSafe Kennel. But then, what looked like a layover nap turned out to be a permanent rest. Red Door Animal Shelter president Marcia Coburn says flying in a cargo hold with predator animals can be challenging for rabbits. “It’s still going to have that prey animal instinct, it’s still going to be scared,” she explained. And that can be overwhelming, even after landing.